Participate in a unique, collaborative partnership that brings together five postsecondary institutions – Cegeps (Dawson, Centennial, John Abbott and Marianopolis) and McGill as the lead institution. McGill faculty, course lecturers/instructors and teaching assistants are invited to participate in this research project by sharing their valued perspective on Universal Design for Learning and diversity in the classroom. 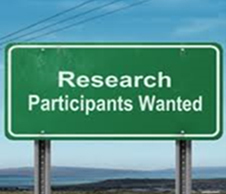 To participate in the research or for more information, please contact project coordinator, Roberta Thomson. More details can be found here.